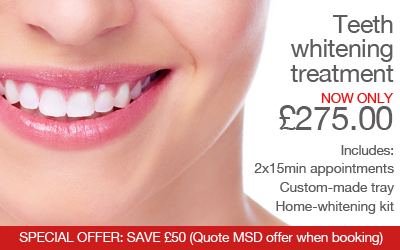 Give your smile a sparkle with our teeth whitening treatment for only £275 (usual price £325.00). Quote 'MSD offer' when booking your appointment to qualify for the special offer price. For more details, ask your Manor Square dentist or book a new patient consultation by calling 01943 461501 or completing our appointment request form.